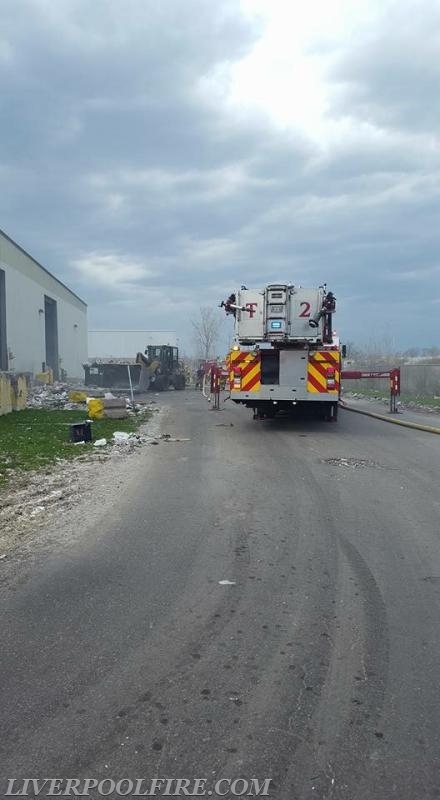 Early Wednesday afternoon, Moyers Corners FD was alerted for a possible fire at the waste management plant. 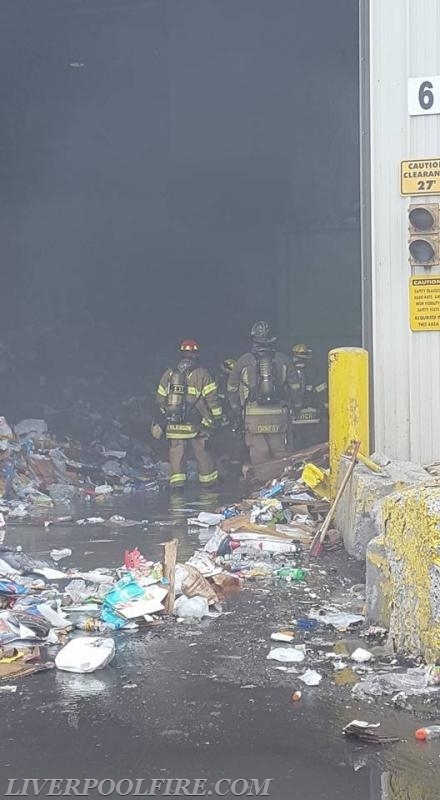 Multiple calls came in for a fire in the trash room at the plant. MCFD Car 3 arrived with heavy smoke showing from the 'delta' side. Car 2 (D/C Ormsby) and Truck 2 (D/C Laakso) responded. C2 arrived and operated as the interior operations chief. MCFD units arrived and starting extinguishing the fire and trying to open up the deep seated fires below the waste. Truck 2 arrived setting up on the A/D corner and secured the utilities and sprinkler system. Units operated for 45 minutes before returning to service.